Home / Science/Research / Hemp Oil vs. CBD Oil: What’s the Difference? Hemp oil and CBD oil differ in what part of the plant they come from and how they are used. Hemp oil is from seeds and is used as a protein supplement and in lotions and soap. CBD oil is from plant flowers and leaves. It is used primarily for medicinal purposes, such as treating inflammation. It’s easy to get confused because of the many varieties of marijuana products available, including oils, lotions and tinctures. Here’s a closer look at hemp oil and CBD oil, including where they come from and how they are most often put to use. Hemp oil is extracted from hemp seeds. Typically, it is taken from industrial hemp plants and contains very small amounts of THC, the chemical in the marijuana plant that causes the high feeling. In other words, it’s non-psychoactive. Hemp oil gets used in diverse ways, perhaps the best known of which is in cooking as a replacement for olive oil. Hemp oil has a nutty flavor and is a source of protein. Hemp oil also is used in lotions, as it is known to help hydrate the skin. Because it is a natural moisturizer, it also is used in the making of some types of soap. Some also believe it can treat atopic dermatitis and has anti-aging properties for the skin. CBD (short for cannabidiol) oil is extracted from the flower and leaves of the hemp plant. It is a naturally occurring chemical in marijuana that is non-psychoactive. The uses of CBD usually revolve around medical applications. Athletes often use CBD products for pain management and to lessen inflammation. 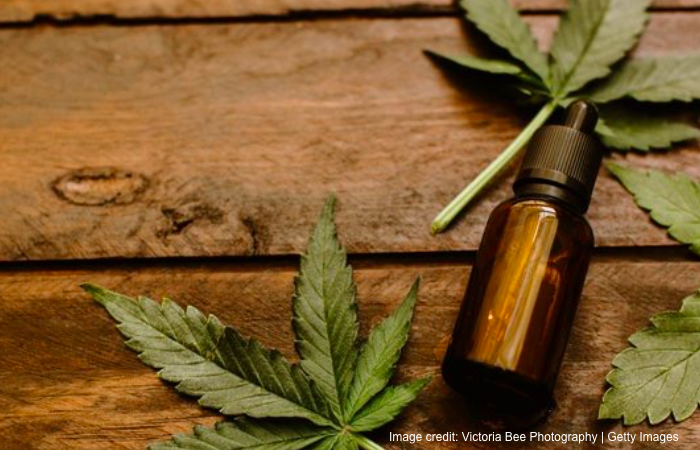 A CBD-based medicine also has been approved by the federal Food and Drug Administration for treatment of certain types of epilepsy. The uses of CBD are expanding as new discoveries are made. For example, CBD oils have been used by some to treat depression and ease stress. Still others have used CBD products on their pets, also to lower stress. Cancer patients also have used marijuana and CBD to lessen nausea and increase appetite when undergoing chemotherapy. Both hemp oil and CBD oil have important uses, but they different greatly in both where they come from and how they are used. Take the time to learn about both before making your purchase decision.